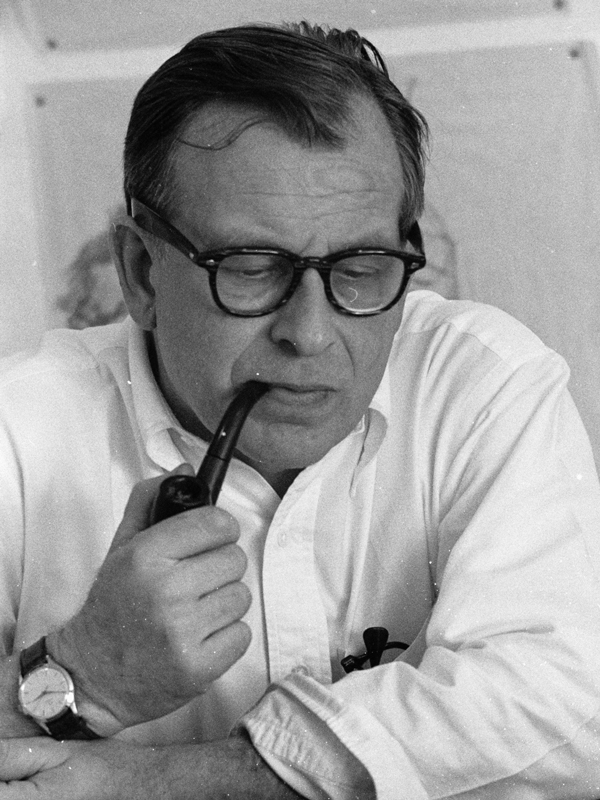 Born in 1910, Eero Saarinen was surrounded by design his entire life; his father, Eliel Saarinen was an architect and director of the Cranbrook Academy of art and his mother, Loja Saarinen, was an acclaimed textile artist. In 1929, Saarinen traveled to Paris to study sculpture at the Académie de la Grande Chaumière before enrolling in the Yale architecture program. He returned to Cranbrook in 1934 where he met fellow designer and friend, Charles Eames. In 1947, Saarinen won a competition to design a monument for Thomas Jefferson in St. Louis. His Gateway Arch would mark one of the many triumphs of his short but incredibly productive career.